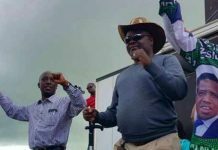 GBM, KAMBWILI, LUBINDA in SOlwezi. Wynter is gone. Let's celebrate over Katubi & Katata. President Edgar Lungu has fired Information and Broadcasting Services Minister Chishimba Kambwili with immediate effect. President Lungu has since appointed Kalulushi Member of Parliament Kampamba Mulenga. President Lungu has encouraged the new Minister of Information to serve diligently and with high levels of integrity as she takes up her appointment. President Lungu is confident that the added attributes of youth and female gender will spur the Minister to work even harder to promote the cause of women and youth in decision making. 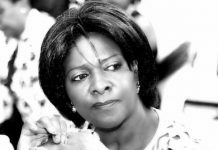 Ms Mulenga had previously served as Kalulushi District Commissioner before she entered active politics. This is contained in a statement issued to Qtv News by Special Assistant to the President for Press and Public Relations Amos Chanda. People have to be serious you think this guy is even bothered about this. 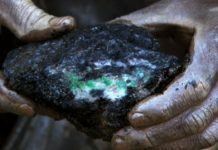 Basic slide of hand, fire Kambwili with the right hand increase fuel with the left and you still have your eyes on the right. People focus please. LIFE DEMANDS ONE IN A WHILE TO MEET CHALLENGES IN ORDER TO MOVE STEADLY AND UNDERSTANDS REALITY OF LIFE. WHATEVER WE GO THROUGH , MAKES US WHO WE ARE AND CREATES ONE ‘S PERSONALITY. HOWEVER, LOVE AND PEACE ARE CORNER STONE OF OUR LIFE. 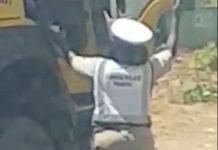 kachileya chichula…..n u makakazi dnt dare speak ama rubbish pali ba lungu besu…let him do his duties…umuntu ngatakwete order kumusokola…..
Ewe chikala ulibe nzhelu chabe, mwamene vavutikila Bantu so but ukali Ku supporter chipubu! Go to hell! What reasons for firing the Doctor from his position , I cannot laugh at him because the reasons are not known .please let the nation know so that we can support . When Adam and Eve sinned their sins were known even now we know ebatuletelela ukulachula nokulafwa . Take courage mr you were not born a minister but an m, p.
Just wait and see. That’s how they react at the beginning – maturity followed by stupidity! Take heart ba kambwili you knw were you come from with the part nd you knw all the history of the part edgar lungu will remember you coz istead of reducin meali meal he is ther firin pipo,mr president u ar givin chance to the opposition dont listen much to RB you can finish the part. THERE IS A TIME FOR EVERY .TIME TO STEAL FROM GOVERNMENT COFERS AND TIME TO BE FIRED. Thank u for joining us in a jobless society.don’t worry de govt want u to reduce yo weight bcse ur too fat. 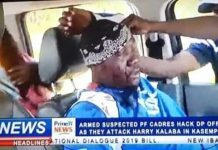 Good lucky kambwili you are now going somewhere stay blessed..
is this real or we just playing? It happens,just accept it and never give up on PF…be loyal and careful with the adivice u wil get 4rm pipo. Am sure others r celebrating bcoz thy think PF z divided but suprise them,be a good friend 2 our president and always consider hm as our leader no matter wat people say.SO PROUD 2 B PF. Dr Kambwili ‘s grave mistake has been the pronouncing of threatening words to whoever does opposite to his belief to say”I WILL FIRE U!”This is the will of God if u pretend to be holy and exalt yourself,he will set u down.Its a very big lesson to everyone of us.A DS MAX saying comes to pass which says:IT IS EASIER TO BE PROMOTED THAN TO REMAIN PROMOTED. Pls here are suffering bcoz of power so do something about it. As the saying goes king dies another one is born what next. When appointing ministers the president does not give reason so shall it be even when firing them.All appointed pipo live on the mercy of the appointee nd kambwili was not an exception. could it be the work of RB n Dolla or what? History: in 1965, The rock n roll band called the Beatles, once said they were more popular than Jesus Christ the son of God. What happened next, the band disbanded and some members died unknowingly. Their music is rarely heard. In 1990 a funny District Governor from Eastern province said KK was more kind than God because he pardon the coup plotters while God did not forgive the devil. What next KK lost the elections to FTJ. Recently some politician said that Even if Jesus Christ stood against anyone in southern province, he can easily loose. I end here ……. Free data my bro!!!! Thank you! Kkkkkkk he has hit the ground with his head. 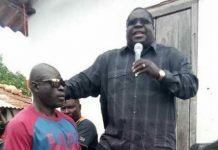 KAMBWILI’S FIRING WELCOME BUT NOT CAUSE FOR JUBILATION! Whilst President Lungu should be commended for taking such a bold step for firing his Information and Broadcasting Minister, Chishimba Kambwili, it is however saddening that this is just two months after being appointed. There are more questions than answers and I wish to use this forum to air my view. Whilst the public has not been told the reasons for his firing, it is just common sense that corruption is one of them. The big question is was this corruption that has merited his firing committed in these two months? Let us assume that the answer is yes which will mean that this country has so much much money that a person can corruptly have access to so much. Suppose the answer is no, then it will expose so many things that are wrong in most political parties. If this corruption was committed before he was appointed, how come the office of the President and the ACC could not pick up this. It is common knowledge that the Office of the president have their officials scattered everywhere in the country. 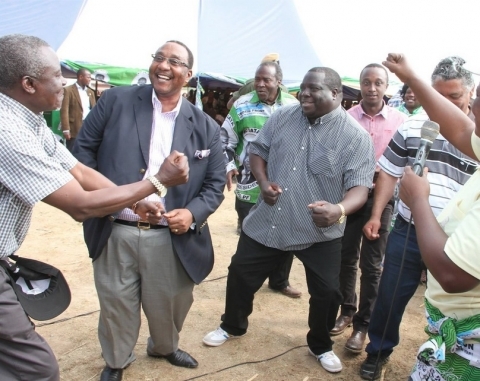 If Chishimba Kambwili has been corrupt for five years and yet was still voted back to parliament, it shows just how immoral our politics are in this country. How can you be singing and campaigning for a person that is corrupt? Do we know just how many more Ministers are corrupt and have not yet been found out? We need to kill the face of corruption in this country. This is something that the President must be aware of. The accounting officers in affected Ministries must also face the chop. I would advise the President to be rotating Permanent Secretaries as this is where things start from. Well done your Excellency. We are watching to see more of your actions. Oh God help Uor nation Zambia.
. Nishi wansanga ndenyela panse? Dont worry Honourable, thats the way life goes. Just trust in the Lord God Almight. Bola ni ninety minutes let’s play on, time will tell let’s play on. ..
Take heart Mr Kambwili. There is still life after ministry appointments. Wishing you all the best in your future endeavors. What a big awful mistake to Mr president one love CK! !!! !